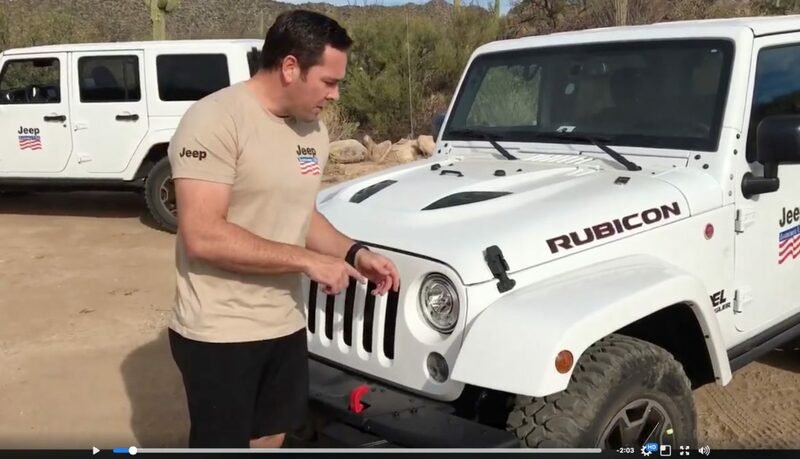 We thought you might be interested in this video that shows how the team at Jeep Jamboree utilizes XPEL Paint Protection Films to protect their Jeep vehicles as they attend Offroad events throughout the year. These vehicles are put through the wringer these events all year long. In fact, the white Jeep shown in the video had been used for 18 Jeep Jamboree events. After the season, when they are ready to sell the vehicles, they remove the XPEL to reveal the completely pristine surface below. This minimizes the refurbishment needed to get the vehicles ready for resale and the protection from damage helps the vehicle maintain the resale value. These vehicles see more punsihemnt in one season than most will see in a lifetime. If they trust XPEL to protect these Jeeps, shouldn’t you consider it for your vehicle? However, you don’t have to go offroad to benefit from XPEL Clear Bra. We can install custom fitted kits onto nearly any car to protect your vehicle from damage caused by rocks, road debris, insects, etc. Check out this video that they put together to show how the product protected these Jeeps. If you would like more information on XPEL PPF, or have questions about integrating XPEL Paint Protection Films on your vehicle, you can reach us directly by calling (206) 403-1366. We service the entire greater Seattle, Washington area.